It is told that the second after the proposal yes is said, that there are over 119 major decisions and 500+ labor hours spent on the average wedding in the United States. We feel it is our duty to educate our clients to the wonderful world of weddings and to say “congratulations!” Whether you need a small amount of assistance or a full service luxury wedding planning production, we can coordinate and orchestrate the wedding of your desires. While we work behind the scenes, you and guest can turn their full attention to celebrating so you won’t miss a moment. We specialize in themed events so you’ll experience the thrill of a polished (attention to the very last detail) and unforgettable event, each and every time. 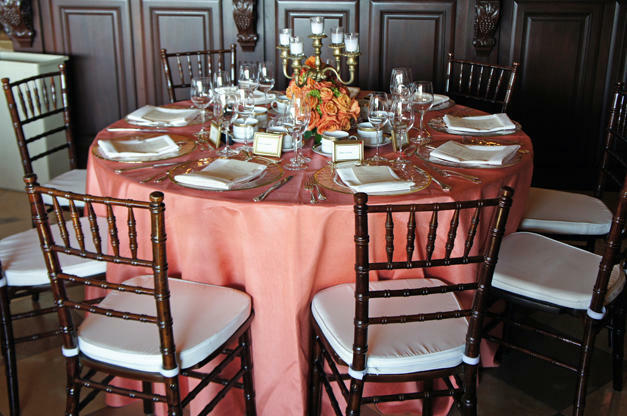 We have a huge competitive edge because we own almost everything needed for any event. With over 20 years in the event planning industry and party production industry we have also established relationships with all of the other professionals who will make your special day a success beyond your wildest dreams. A final thought, “Relax” enjoy the planning journey and let us know how we can help.